Our expert pet stain removal and odor carpet cleaning methods, pet stain removal and pet odor removal is guaranteed, natural and safe. Pets also bring in things from the outside such as dirt, dust, bugs, grease, pollen, and allergens. People contribute to spreading all that around by petting and patting their pets. Of course we want to show love to our pets by providing clean healthy carpets that do not harm our pets from chemicals and toxins. These chemicals and toxins can make your pets sick. We here at Be Green Carpet Cleaning love your pets and our own as well. Pets play, roll and sleep on your carpets and sometimes have accidents. 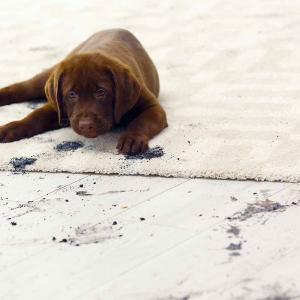 These accidents cause carpet stains and odors. Of course as pet owners we do what we think is best to remove the stains. However there is a lot of “accident” left behind that we can’t see with the naked eye. Also odor that, well, we just get used to and stop smelling. The smell lingers, however, along with the “accident”. Cat urine can be one of the most difficult smells to remove from carpet. Most of the time, harsh chemicals are used to remove cat urine smells that leave your carpet bleached and full of chemicals. Our organic dry cleaning methods is 100% pet friendly. We safely get the cat urine smell without bleaching your carpet or leaving more chemicals in your carpet. 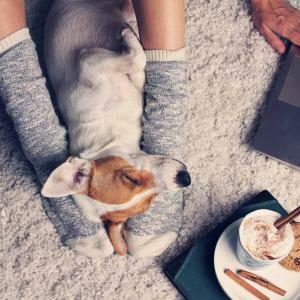 Be Green Carpet Cleaning can remove pet urine, dander and poop stains using the safest methods available and you can feel good that you’ve provided a nice clean safe carpet for your pets to play and sleep on.